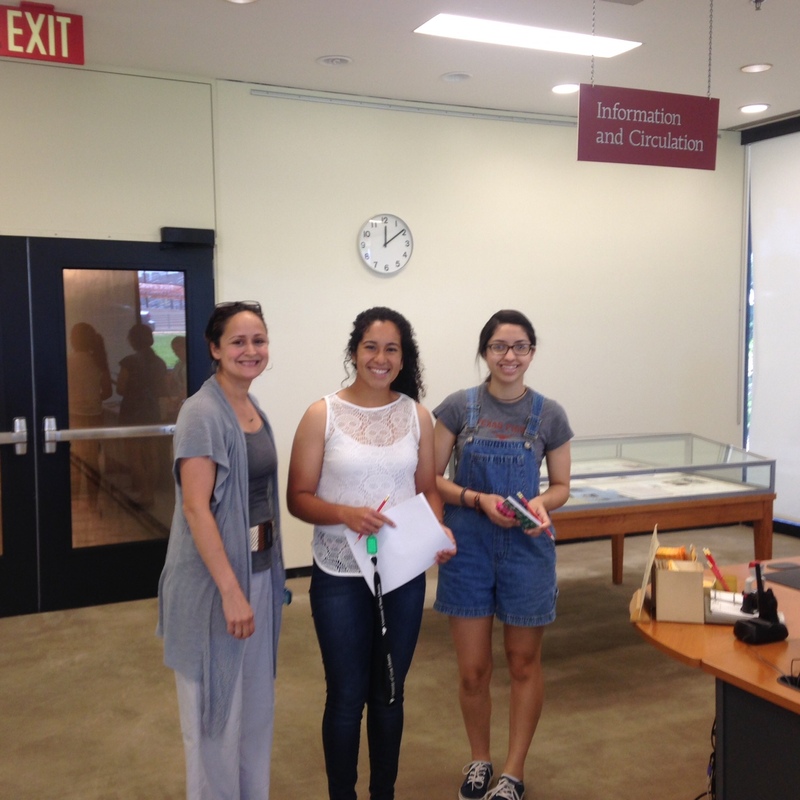 Left to right: Nani Romero, Charlotte Nunes, and Tori Vasquez making important decisions about aesthetics, organization, and metadata for the Latina History Project online exhibition! In order to get the site up and running, we had to decide on an Omeka “theme” to determine the aesthetic identity of the site. We also had to decide what metadata fields would be most relevant and useful to identify and describe the assortment of digitized primary source items we want to include in the exhibit. Establishing the basics of the site turned out to be a great opportunity to talk about the identity of our project at large, and relatedly, what descriptive categories we want to prioritize in order to convey the significance of the selected primary sources to Latina and SU history. We hope to launch the public site in Fall 2015. 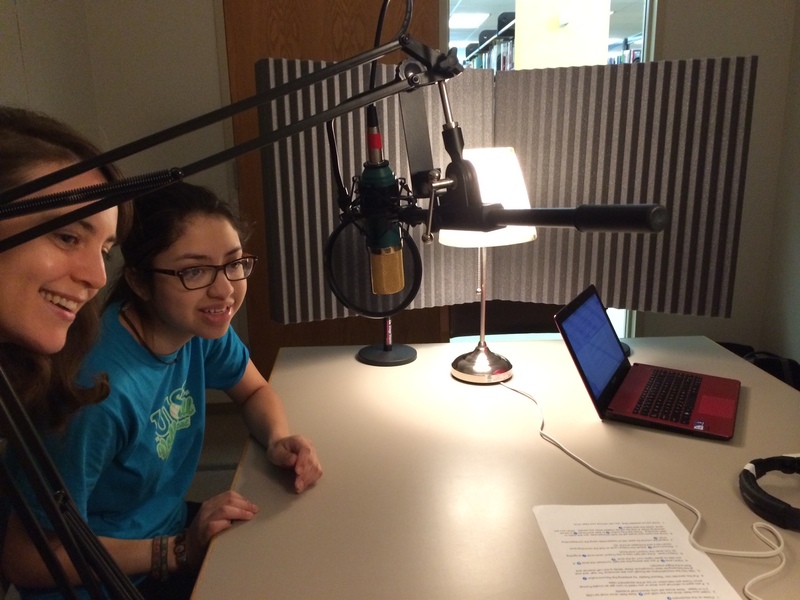 In addition to establishing the Omeka site, the students also recorded their own oral histories, which we will include as primary sources on the site. 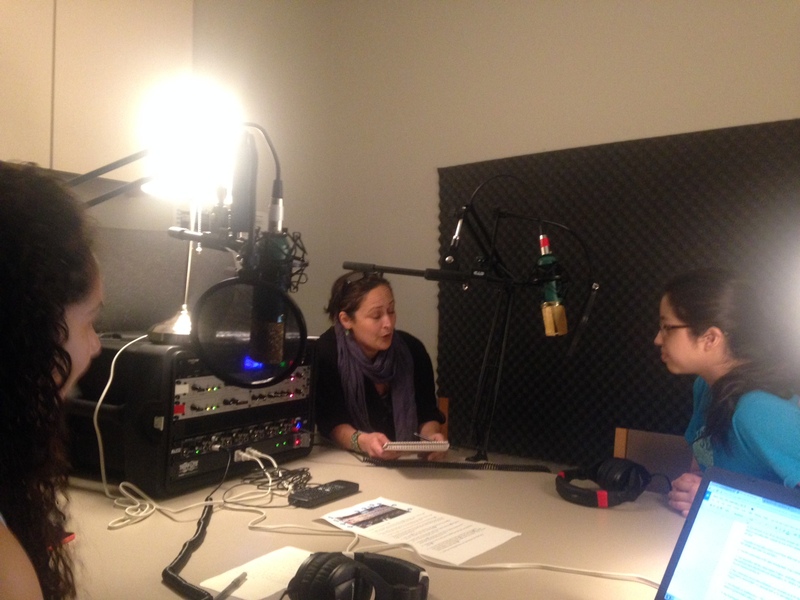 We took advantage of SU’s newly acquired sound booth in the Smith Library Center (acknowledgements to the Mellon Foundation for the grant funds that enabled us to get the sound booth!). 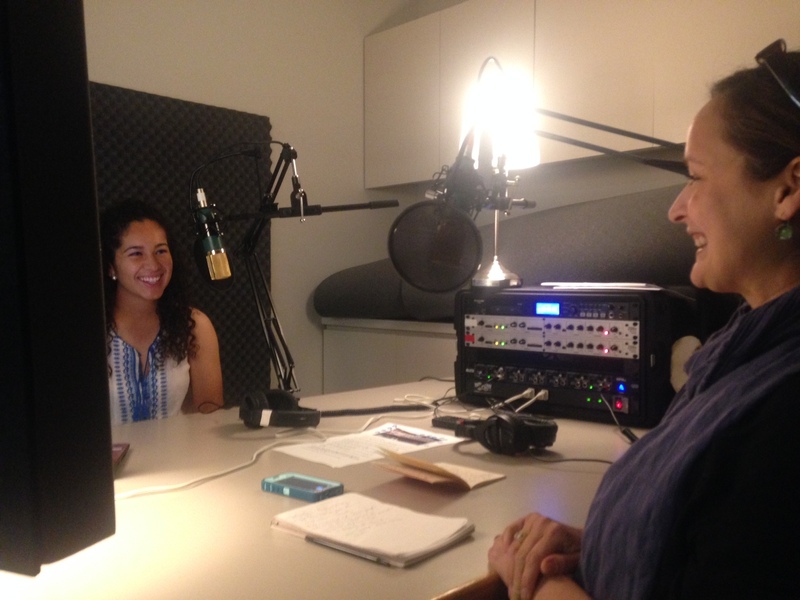 Tori (left) and Dr. Brenda Sendejo (right) have a laugh before getting down to oral history business. 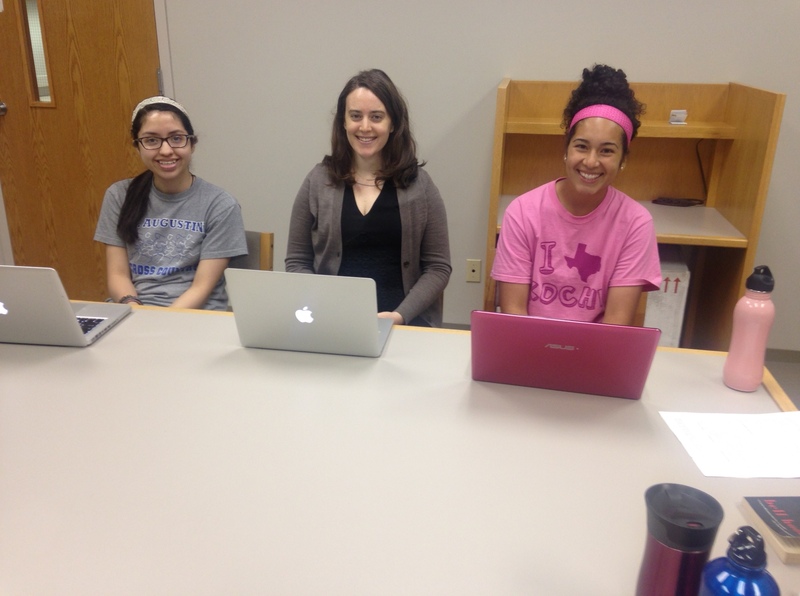 Dr. Sendejo facilitates an oral history interview with Tori (left) and Nani (right). -impressions of Southwestern University upon arrival, and current perceptions of SU from their perspectives as Latinas. -experiences with the Latina History Project. 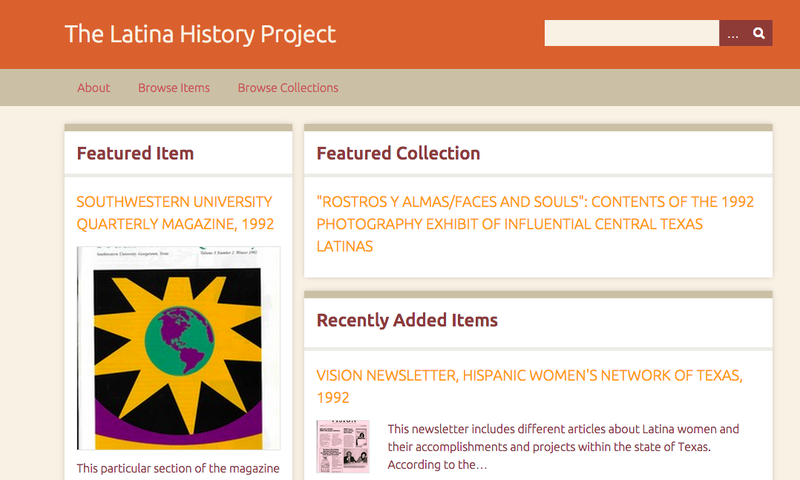 -connections between the Latina History Project and their lived experiences at SU. -reflections on the 175th Anniversary of SU, including representations (or lack thereof) of the Latina/o experience in campus anniversary celebrations. Tori and Nani shared their dynamic perspectives on experiences of both inclusion and exclusion at SU. Nani shared that for her, one of the most valuable aspects of the Latina History Project is the opportunity to literally “take history out of the box.” In the process of selecting, digitizing, and exhibiting Latina history primary source materials that were delivered to us in a mid-sized paper storage box, we’re thinking “outside the box” about SU’s institutional history: highlighting the history of the 1992 “Rostros y Almas/Faces and Souls” photography exhibit is a way to insert a Latina historical perspective into our university’s institutional narrative. Hear Tori and Nani’s oral history below. For our LHP semester finale, Tori, Nani, Dr. Sendejo and I enjoyed a day trip to UT-Austin’s Benson Latin American Collection. Dr. Sendejo arranged a fantastic introductory session with Benson archivist Christian Kelleher. Christian provided some useful tips and strategies for approaching archival research, then showcased a selection of fascinating materials from the Gloria Anzaldúa Papers housed at the Benson. 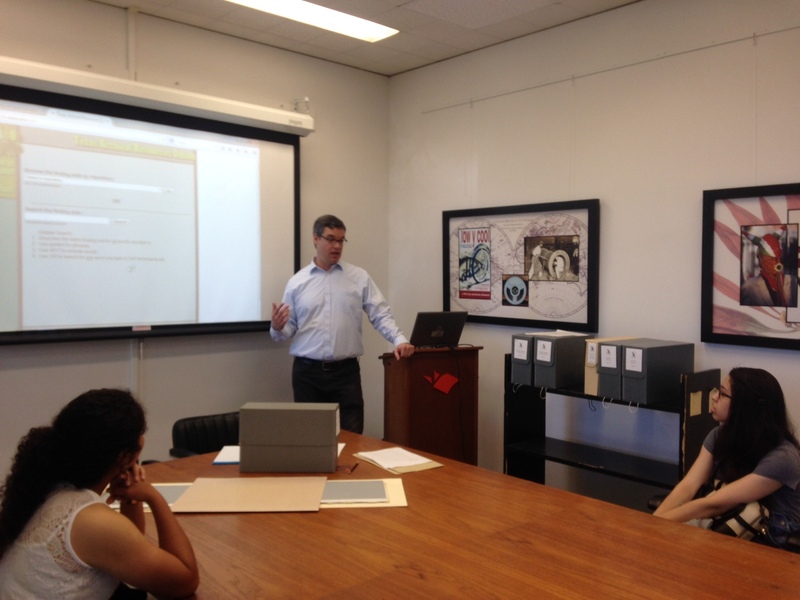 Christian Kelleher provides a tour of the Benson Latin American Collection finding aids. 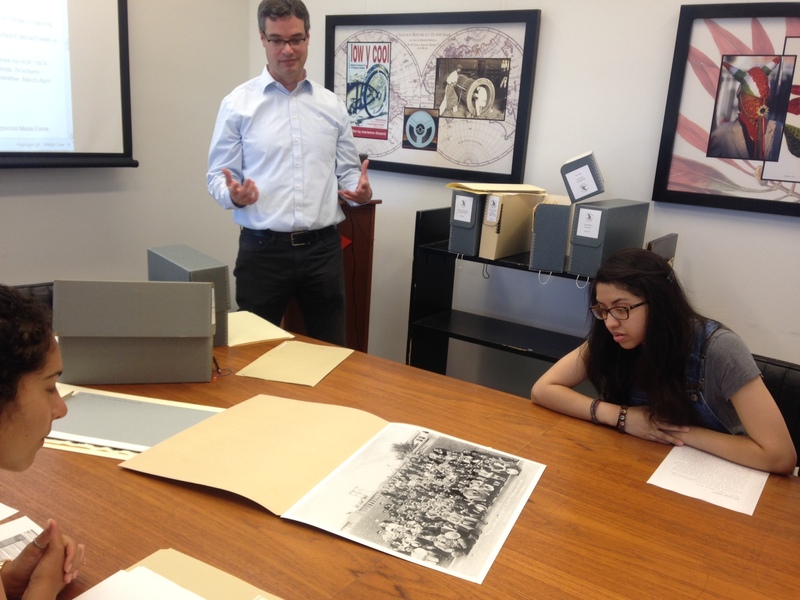 Tori (left) and Nani (right) view an archival photo while Christian Kelleher (center) discusses its context. After our session with Christian, we decamped to the Reading Room to conduct independent archival research. 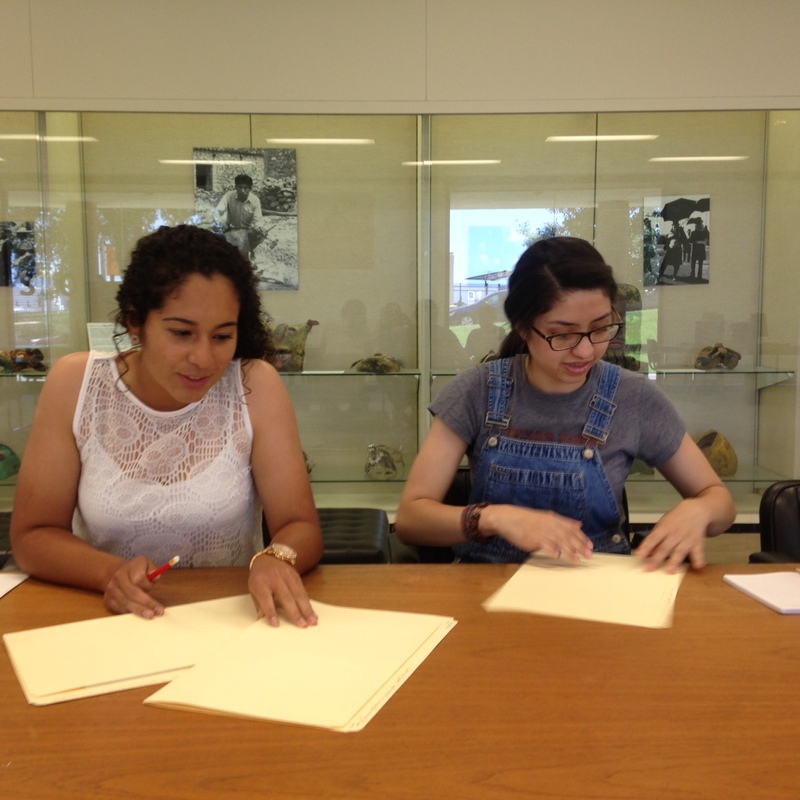 Tori and Nani submitted folder request forms and got busy exploring the Anzaldúa Papers. Arriving in the Benson Reading Room. Left to right: Dr. Sendejo, Tori, and Nani. Tori (left) and Nani (right) explore their selected folders of archival materials in the Benson Reading Room. Archival research makes you hungry! 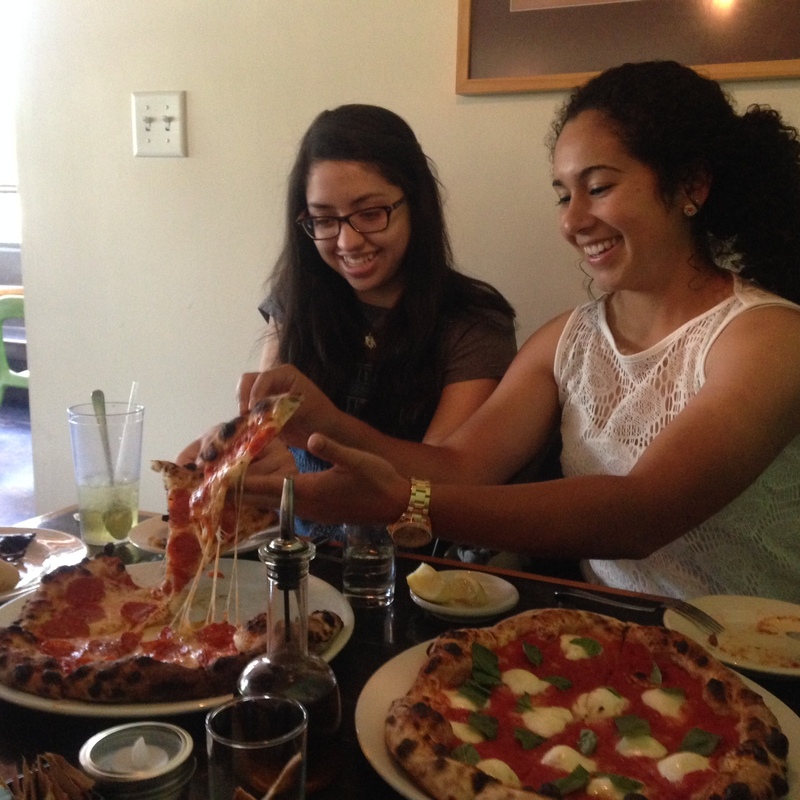 We concluded our session with a well-deserved PIZZA FEAST. Congratulations to Tori and Nani on a semester of hard work and great development on the Latina History Project. Thanks also to faculty co-Directors Dr. Sendejo and Dr. Alison Kafer. Wishing a great summer to all and looking forward to continuing our adventure in Fall 2015!